Add functionality and style to your kitchen with this elegant 80cm Alpine Pantry Cabinet. 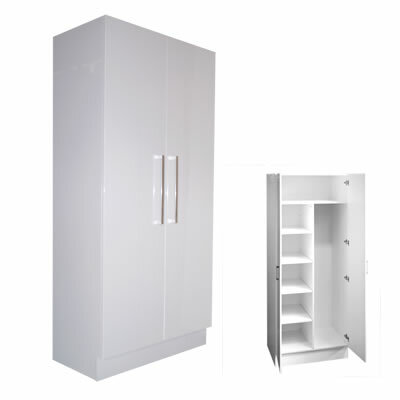 A double door combination cabinet, it features extra deep shelves and offers enough space to store your kitchenware, linen and even your broom. Delivered fully preassembled, you simply need only install, which is an easy task. 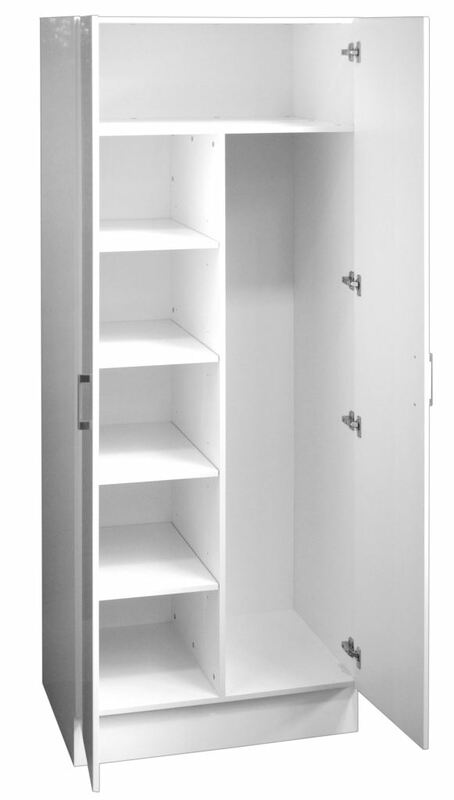 Presenting the perfect mix of looks and practicality, this pantry cabinet is available in a glossy white finish. 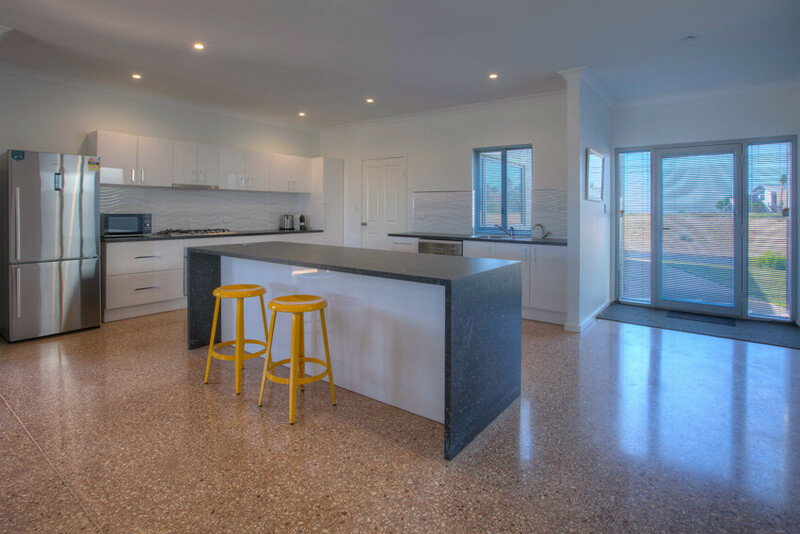 The 2 pack painted surface offers a smooth and scratch resistant surface. Additionally, its soft closing doors, which are equipped with chrome handles, allow for gentle and noiseless operation. 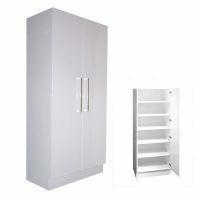 As a quality product from Alpine, the 80cm Alpine Pantry Cabinet is durable enough to offer you many years of service. 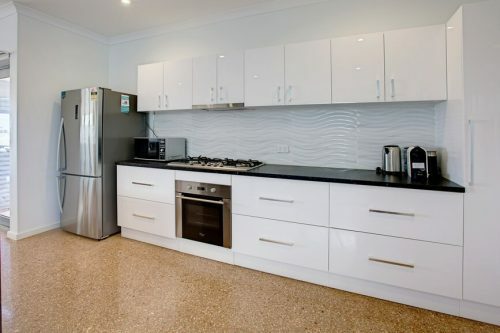 Manufactured using high grade HMR board, it is exceptionally moisture resistant and you can keep this cabinet in sparkling condition by simply running it over with a damp cloth. Alpine backs this cabinet with a solid 5 year guarantee covering all materials used in construction and on workmanship of this unit. Make your kitchen space more practical with this Alpine Pantry Cabinet. 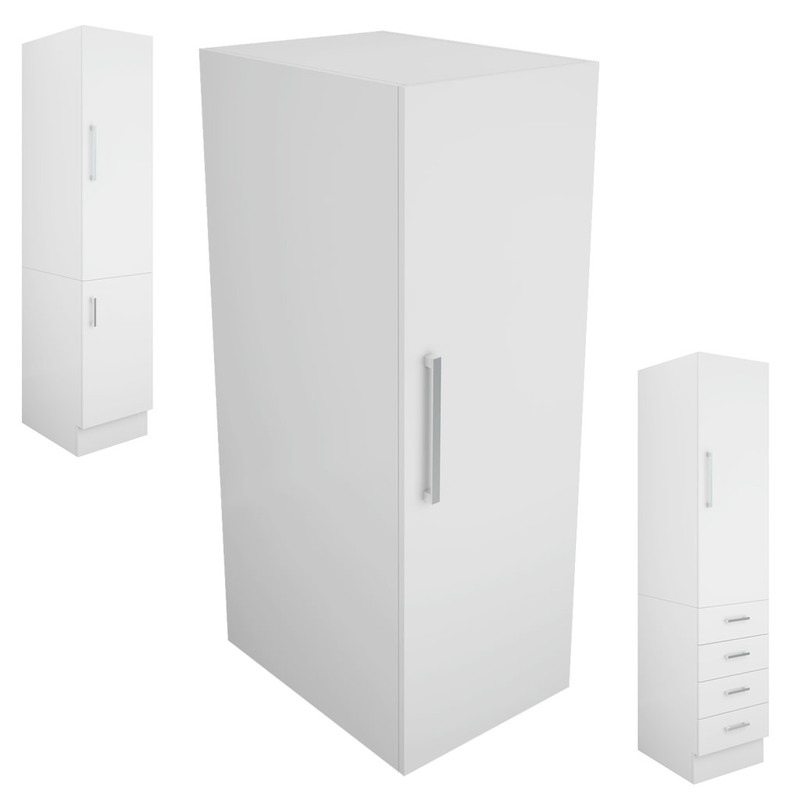 Buy this cabinet from Ross’s Discount Home Centre today at an unbelievable price.